Do you ever wonder if your daydreams are just your imagination or if they hold a greater significance in your life? Can you close your eyes and instantly conjure up detailed scenes or images? Does your mind solve visual puzzles seemingly automatically? Those with the gift of clairvoyance may be tempted to write off their abilities as the result of an overactive imagination. But the truth may go much deeper than that. In fact, these mental images are more than they seem. Clairvoyants use the pictures and symbols that appear in their mind’s eyes to achieve deeper insight into the world around them. Many experience the signs of clairvoyance each and every day without truly realizing what’s happening. Most are familiar with clairvoyance from TV and movies. These depictions are often over-the-top and lack a nuanced understanding of the ability. True clairvoyance is an incredibly subtle skill. It requires a lot of practice and interpretation to fully develop. 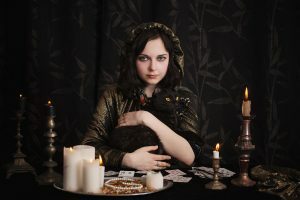 To better understand this psychic ability, it’s important to both fully define it and learn to recognize the signs of it exhibited in daily life. 2.1 1. You can easily visualize scenes, symbols, and more. 2.2 2. You have vivid dreams. 2.3 3. You have a deep connection with beautiful things. 2.4 4. You can sense things remotely. 2.5 5. You see psychic flashes. 2.6 6. You see how things connect. The term clairvoyance comes from the French words “clair” and “voyance,” which literally translates to “clear vision”. That vision is one that sees truths and future events by turning that information into symbols and pictures. In other words, clairvoyance is a heavily visual ability. You’ll intuit psychic information through sight and in your mind’s eye. This is similar to how clairaudients use sound to understand psychic information and clairsentients use feeling. All who are sensitive to the psychic world receive information, but our minds and bodies translate it in different ways for us to process. It’s important to understand the type of seeing involved in clairvoyance is not physical. In other words, the things you’ll see will be with your mind’s eye. Nothing will literally appear in front of you. Most of us are clairvoyant to a certain degree. But some of us are more in touch with our psychic abilities and can train ourselves to better understand what we see. 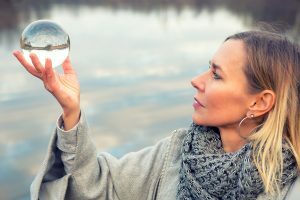 To help you understand your level of clairvoyance, here are a few signs to look out for. 1. You can easily visualize scenes, symbols, and more. The ability to visualize can manifest in so many different ways. Clairvoyants may often have images or scenes burst into their mind’s eye. They may be prophetic, symbolic, or literal, but they’re all the mind attempting to make sense of psychic information. For example, when someone says a word, your brain conjures up a specific picture or even an entire scene. Your mind is flooded with these images, which may either be literal or a symbol representing what’s been said. The pictures that clairvoyants receive are vivid, full-color, and detailed. The symbols received may seem strange, but they’re usually spirits or the universe attempting to convey ideas and concepts in ways that aren’t always clear right away. With meditation and training, clairvoyants can better learn to understand the images they see and interpret the messages each symbol holds. Your dreams at night and during the day are incredibly intense and have a lot of sharp and colorful visual detail. It feels almost like you can quite literally see a scene before your very eyes, even though it only exists in your mind’s eye. You dream (and daydream) often and easily. Many clairvoyants remember the smallest visual aspects of their dreams and can mentally craft detailed daydreams. The colors in all your dreams are likely bright, colorful, and heavily symbolic. This makes sense, as clairvoyance is about sight. A heightened ability to see in your mind goes hand in hand with the ability to visualize psychic information. These dreams may also have a precognitive element to them or are otherwise prophetic. Perhaps a symbol that repeats in your dreams shows up in real life, or those symbols forewarned you of an event that happened long after you woke up. Mental training can help you remember and decipher these dreams to understand how they apply to your waking life. 3. You have a deep connection with beautiful things. You find yourself incredibly moved by paintings, sculptures, flowers, and other physical objects. Clairvoyants love to decorate and surround themselves with things they find beautiful and attractive, sometimes in a way they can’t quite explain with words. You may find yourself understanding a lot about the creator of something by merely looking at their creation. You can imagine what the painter would have looked like, hunched over their canvas and pushing paint around with their brush. You can feel how a sculptor felt when they were shaping their work. Clairvoyants are often empaths. They connect deeply with another’s emotions through the art and crafts they that person creates. It’s important to cultivate this appreciation of beauty, as it can ultimately be richly spiritually fulfilling. 4. You can sense things remotely. Clairvoyants often have heightened senses, which means they can detect psychic and physical disruptions in the world around them. This ability can range from feeling a sense of dread at a random point and later learning a terrible event has occurred or even just realizing there’s someone around the corner before physically seeing them. You may often feel a profound sense of anticipation before an unexpected event occurs. You can’t see through walls or anything, but you can certainly pick up on otherwise hidden pieces of visual information that your body and mind recognize straight away, even if it takes your consciousness a moment to catch up. This sense of foreboding comes from your mind picking up the slightest visual cues that alert you to a situation. Or you may have been forewarned of an event by the symbols in your dreams, which your inner mind understands even if you’re not actively aware of it. 5. You see psychic flashes. Many clairvoyants will experience sudden psychic flashes, like sparks and discs of light in their peripheral vision. Some will sense movement where others don’t. 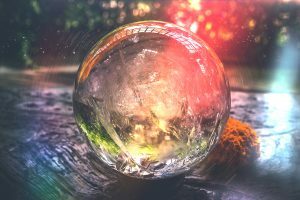 If you’ve ever briefly seen something that shouldn’t be there or witnessed optical phenomena that weren’t explained by something else, it could be a sign of clairvoyance. No two clairvoyants will see the same things or be able to force these flashes to happen. Usually, they’re the result of a spirit guide or someone from another plane attempting to make contact or share information with you. The energy they direct towards you is turned into flashes that appear before your eyes. Your mind does this as a way to make sense of what you’re intuiting. 6. You see how things connect. This is in just as much a literal sense as a figurative. Many clairvoyants find they naturally understand how things and ideas link together. Clairvoyants are often excellent at visual/spatial puzzles, able to manipulate shapes and pieces in their heads to understand the bigger picture. Clairvoyant minds do this naturally with very little need to devote a lot of energy to figuring out visual puzzles. This may not necessarily be the same case for word or audio puzzles, but those who have trained their mind’s eye find it easier to translate what they hear and feel into visual symbols in order to find the solution. You may also have an excellent sense of direction and can visualize where you are on a mental map, almost as if from an eagle’s eye view. Again, this is because of the excellent ability clairvoyants have when it comes turning information into pictures and finding connections between places and ideas. Clairvoyance is tricky to understand, but those who experience will recognize themselves in these signs. 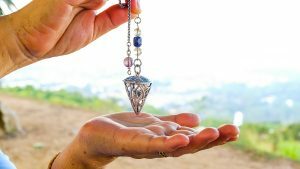 Most will ignore it, but acknowledging it and working to develop your psychic senses will put you in greater touch with the universe at large. There’s a lot of variability in this special psychic ability. Not all clairvoyants will visualize things in the same way. The symbols, pictures, and scenes you see are highly unique to your situation and your mind. Through meditation and exercising your psychic focus, you’ll be able to decipher these mental pictures and understand how they relate to you, your life, and your future.